Almost guaranteed to catch fish! At your request, I have added more hooks,. 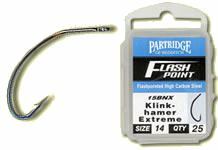 Mustad is long considered the standard hook and I have selected the hooks most commonly used. Each comes in a pack of 100. As a service to you, any size or style of fly tying hooks can be custom ordered for you. Looking for a special hook? 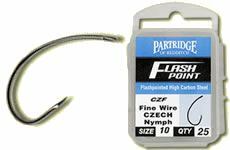 I can custom order any style or size of Daiichi, Partridge or Mustad FLY TYING Hooks. Often I have some styles of hooks on hand not listed which I pack in 25's. I can custom order 25, 50, 100 or 1000 bulk packs of most kinds.